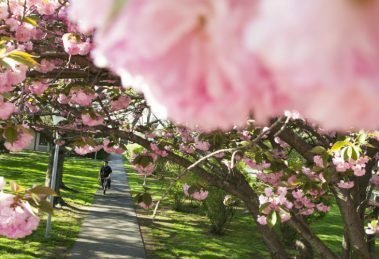 We’ve had an extraordinary year at Hofstra University, and there are even more exciting developments ahead. I’m very proud to announce that we recently concluded a capital campaign that raised $232 million for scholarship funding and continued investment in enhancing our technology and academic programs and facilities. 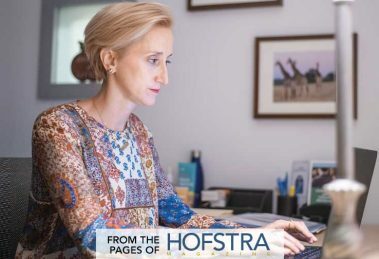 This issue of the annual magazine captures the essence of Hofstra with stories about new programs, and about the contributions that our faculty, students, and alumni are making in the classroom and in our community. You will read about our students’ community service work, including a trip to Puerto Rico to help the island recover from the devastation of hurricanes Maria and Irma. You’ll meet Mark Lukasiewicz, a former NBC News executive who joined Hofstra as the new dean of The Lawrence Herbert School of Communication this summer. 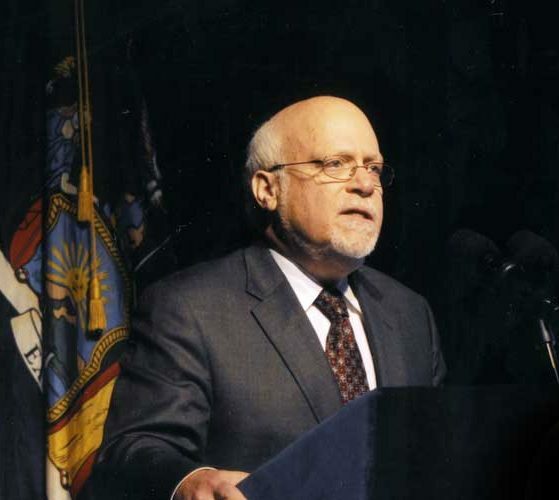 Dean Lukasiewicz helped pioneer the NBC News network’s multiplatform storytelling and brings to Hofstra nearly four decades of experience covering the biggest stories across the globe. We’re also delighted to welcome new Athletic Director Rick Cole Jr., who comes to Hofstra from Iona College. He shares with readers some of his goals for the Pride. At the Frank G. Zarb School of Business, we are launching a new partnership with IBM Global University that will enhance Hofstra’s technology curriculum and provide training and certification in high-demand digital skills to our students and the surrounding community. As this groundbreaking alliance gets underway, we are preparing for the historic opening of our new business school building in January 2019. This magazine also chronicles the success of our co-op program at the Fred DeMatteis School of Engineering and Applied Science. More than 80 percent of students who participated in the program have received job offers from their co-op companies. As we begin a new academic year and head into the November midterm elections, we are launching a campaign called Hofstra Votes, designed to encourage the entire campus community, especially students, to register and vote. This effort, which includes campus voter registration drives, as well as lectures, panels, and other events about various policy issues, builds on Hofstra’s robust tradition of civic engagement. It also fulfills an essential part of our mission: to inspire students to be active participants in the democratic process. As members of the Hofstra family, I encourage you to participate by joining us at a Hofstra Votes event this fall, by posting about your civic activities on social media using #HofstraVotes, and, of course, by voting. In these pages, you will also find compelling stories about the work of our faculty, and how that work changes their students’ lives, as well as their own. Dr. Genevieve Weber recounts her powerful personal journey grieving the loss of her brother to opioid addiction. An associate professor of counseling and mental health professions, Dr. Weber explains how sharing her grief changed the way she teaches and helped her heal. And you’ll meet a trio of men from the same Bronx neighborhood – Education Professor Alan Singer, alumnus Pablo Muriel, and student Dennis Belen Morales – whose relationship transcends generational, cultural, and ethnic lines. 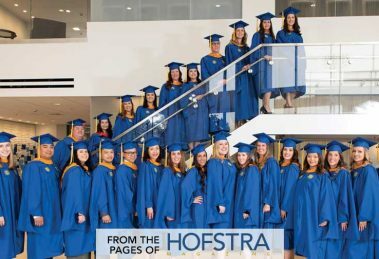 This magazine reflects the creativity, compassion, and character of the Hofstra community, and celebrates the values that define us: Pride and Purpose. 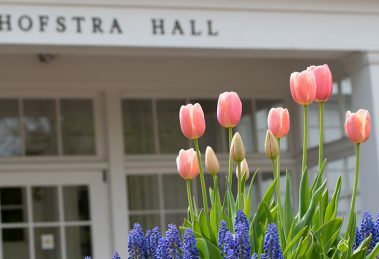 No matter where we are, we share a connection to Hofstra and to one another. 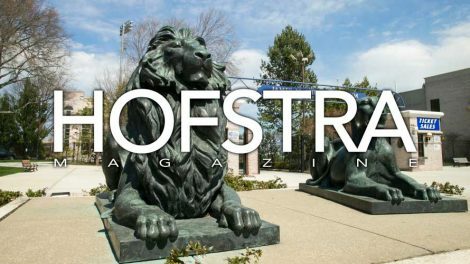 This is your magazine, and Hofstra will always be your home. We encourage you to visit and reconnect with your University family.